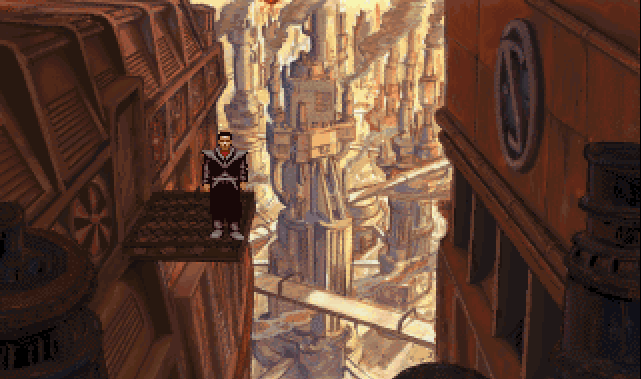 After the Dungeons and Dragons fantasy setting of Revolution’s first game, Lure of the Temptress, Revolution decided to go down a completely different avenue with its second adventure game, Beneath a Steel Sky, that of Science Fiction. A bleak vision of the future was imagined, where mind control and medical science combined forces to repress the populace. Leading comic artist, Dave Gibbons, joined the design team to visualise this desperate landscape. 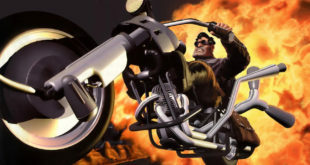 The result, released in 1994, was the cult classic Beneath a Steel Sky. Beneath a Steel Sky was produced for Amiga and PC but is no longer available for purchase. In August 2003, BASS was made available for free download and is now classed as freeware. 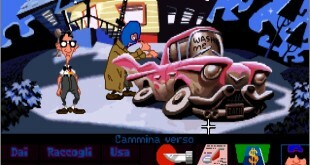 The sources and resource files are available from http://www.scummvm.org Using this new engine, BASS can be played on XP, MacOS, Linux, Amiga and pocketPC. 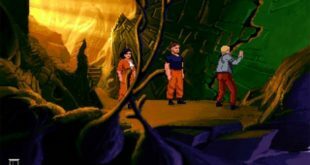 Revolution extends its thanks to the SCUMMVM team for all their hard work in bringing the game back to life. Enjoy! Per chi usa ubuntu, esiste il pacchetto di questo gioco nei repository universe. Questo gioco, in questa maniera, è installabile e giocabile senza ausilio di emulatori.